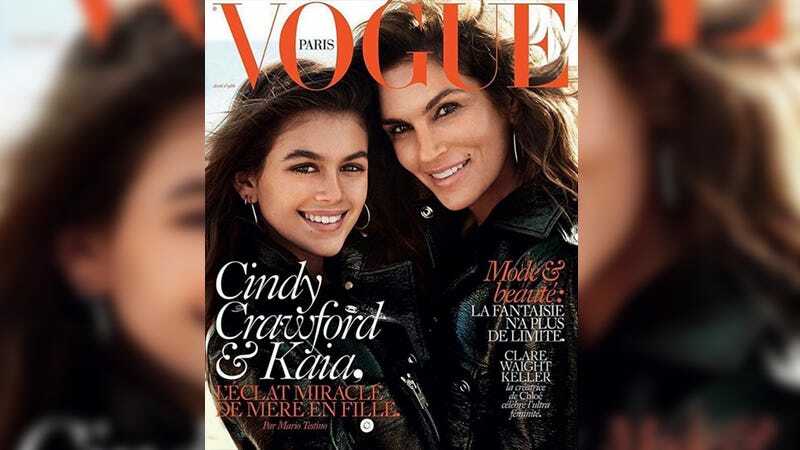 Earlier this year, Cindy Crawford announced she would be pseudo-retiring from modeling after turning 50. “I’m sure I’ll have my picture taken for 10 more years,” she told Rhapsody Magazine, “but not as a model anymore.” (Crawford later sort of backtracked on that statement.) A woman of her word, Crawford—who turned 50 last month—appears on the April 2016 issue of Paris Vogue not as a model, but as a mother. She is joined by Kaia Crawford, her 14-year-old daughter.